Catherine Chandler is an American-Canadian poet, teacher, and translator. A graduate of McGill University, where she lectured in Spanish in the Department of Translation Studies for many years, she has written five books of poetry, including the full-length collections Lines of Flight (Able Muse Press, 2011) and Glad and Sorry Seasons (Biblioasis Press, forthcoming, March 2014). 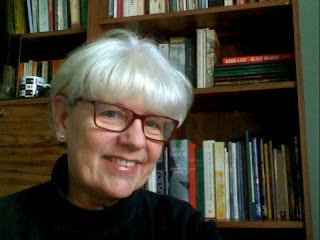 Her poems, translations, reviews, scholarly papers, and audio recordings have been published in numerous print and online journals and anthologies in the US, UK, Australia, and Canada. Her poem "Coming to Terms" was chosen by A.E. Stallings as the winner of the Howard Nemerov Sonnet Award (2010), and Lines of Flight was nominated for the 2013 Poets' Prize. Catherine currently lives in Saint-Lazare, Quebec and Punta del Este, Uruguay. They’ve split. No, they don’t live there anymore. whistling in the nice, clean, sunny tomb. gone silent like a long-abandoned tomb. 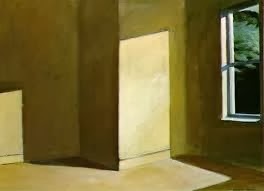 A strange video about the life of Edward Hopper with great period photographs and film.